Generally, Android device are known for their speed and fast processing capability of various operations and functions, But yet we still have some Android devices acting up and behaving like that of a blackberry device during running of application and other processes. This could be very annoying and discouraging, because one of the main reasons for purchasing an Android device is because of its speed and fast processing capacity. Am 100% positive at the end of this tutorial your android device is going to be faster than Husain bolt and that of a rocket jet. The end has come for your android device which usually takes forever to open a webpage and also takes much time to run an application or slows and hangs when playing games. Also the joy of owning an android device is simple and easy way to tweaking the OS to suit your specific needs, unlike the iPhones, Windows phones and blackberry devices. You don’t need any third-party application to do this but just sit and feel the magic which is likely the easiest, simplest and most impactful, giving your Android phone a huge speed boost in a matter of seconds with no third-party software required. I tested this trick on my Samsung galaxy S4 and it worked perfectly, My S4 wasn’t slow before I just wanted more speed and quicker processing. 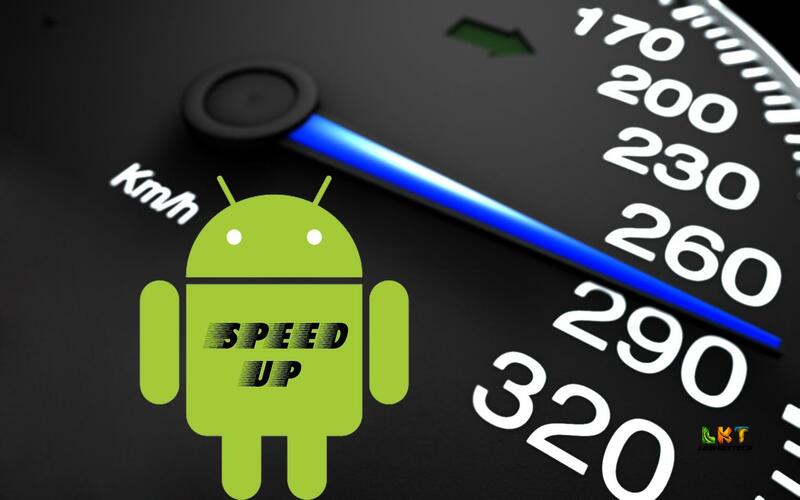 Below is a step by step approach to also increasing your android device speed. 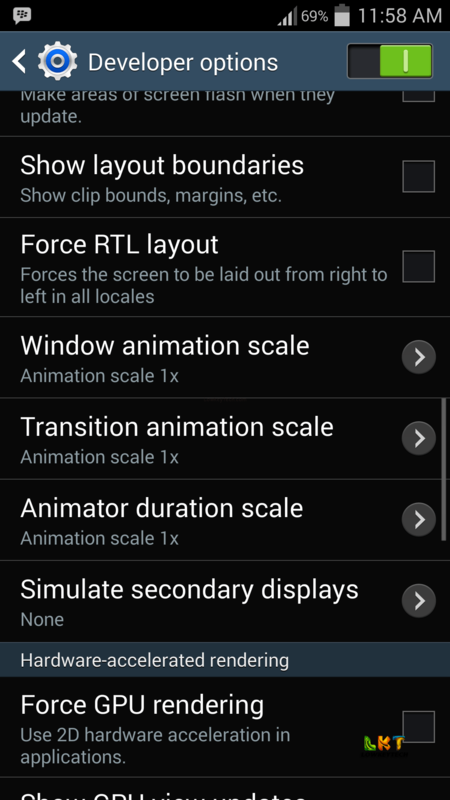 First, you’ll need to enable access to the hidden “Developer options” menu on your Android phone. To do that, simply click on your “settings”, “More settings” scroll down and locate “About device” click on the “about device” and scroll down to where you see ” Build number”, Then tap “Build number” 7 times, you will see a message saying tap 7 times to enable developer options, after that you’re done. Now click on the back button to go back to the more settings menu. You can just back out to the main Settings menu and you’ll find Developer options before the “About device” near the bottom of the list. If you can see the three settings, by default, each of those three options is set to “1x” but tapping them and changing them. After the above tweaking, I noticed my S4 speed increased beyond measures, My Bbm application that normally takes little time in opening due to my massive over 1k bbm contacts, open few seconds after clicking on it. And other changes in faster processing of applications and other functions. 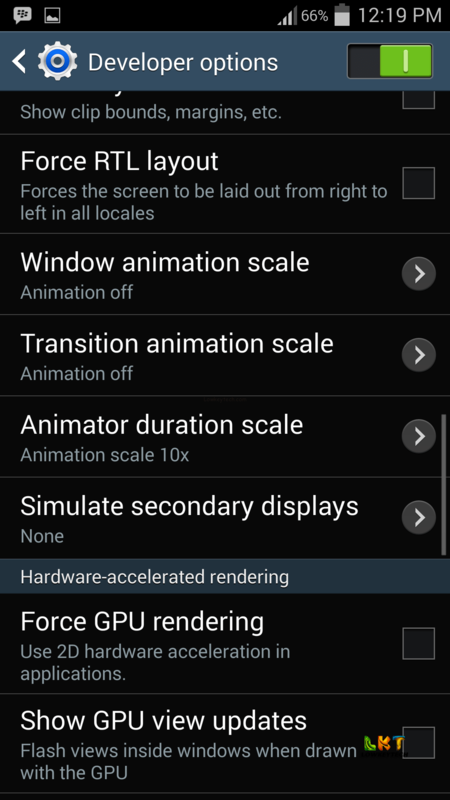 This harmless tweak forces the device to speed up all transition animations, and the entire user experience is faster and smoother as a result. 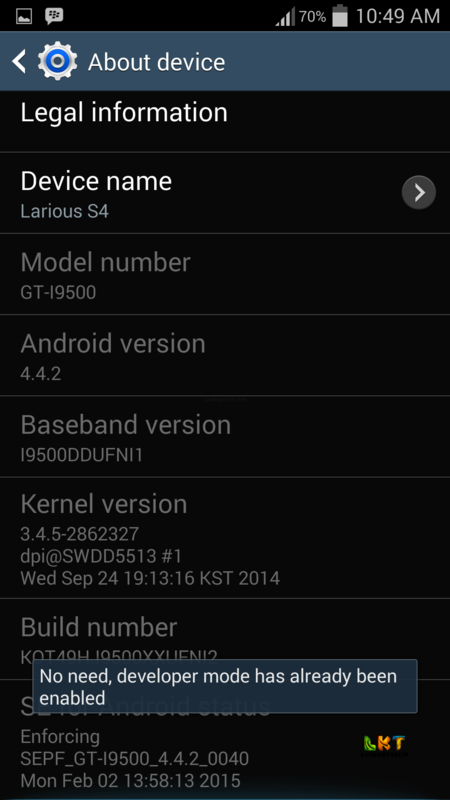 So it’s not going to brick or harm your android device. Also do not touch any other settings in the developer options please.